The Philippine Carabao Center (PCC), operating as an attached agency of the Department of Agriculture, is mandated to conserve, propagate, and promote the Carabao as a source of milk, meat, draft power and hide to benefit the rural farmers. A premier research and development institution propelling sustainable growth of the livestock industry. Improve the general well-being and competitiveness of the livestock industry stakeholders through animal biotechnology and technology development, technology dissemination and knowledge resource management, active private sector participation, livestock-based enterprises, and policy reforms to sustain development of livestock enterprises, thus ensuring socio-economic empowerment for nation building. 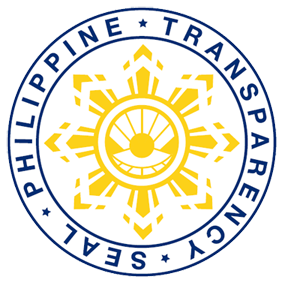 The Philippine Carabao Center (PCC), an attached agency of the Department of Agriculture (DA), was created by virtue of Republic Act 7307 in 1992. PCC became operational in 1993, taking momentum from the gains and achievements of earlier programs. These were the UNDP/FAO-assisted projects “Strengthening of the Philippine Carabao Research and Development Center” PHI 78/017 and PHI 86/005 coordinated by the then Philippine Council for Agriculture, Forestry and Natural Resources Research and Development (PCARRD), now the Philippine Council for Agriculture, Aquatic and Natural Resources Research and Development (PCAARRD). PCC has a network of 12 regional centers strategically located in various parts of the country.By virtue of DA Administrative Order No. 9, Series of 2008, PCC also pursues an additional mandate as the national lead agency for livestock biotechnology research and development in the Department of Agriculture. The carabao development program (CDP) includes conservation of the water buffalo’s genetic biodiversity for long-term and sustainable development and an organized genetic improvement program. The program also aims to maximize the genetic gains through crossbreeding of riverine buffaloes with the indigenous swamp buffaloes to optimize performance for milk and meat without disregard for draft for medium-term requirements. The CDP’s ultimate focus is the establishment of buffalo-based village enterprises. It promotes cooperative development to provide small-hold farmers’ access to resources, allows them to participate in decision-making, and develops their potentials for business and viable enterprises. Its R&D efforts help address technology and policy gaps. Essentially, it seeks to overcome the constraints in building more efficient and profitable buffalo-based enterprises. Aside from its contribution to national food security, the program therefore is geared towards the elevation of nutritional status, improvement of income and betterment of the overall living standard of smallholder farm families.